The ROYAL is a real step forward for Boca do Lobo, the hand craftsmanship of the intricate marquetry design and the finishing techniques are done with amazing precision by the artisans. 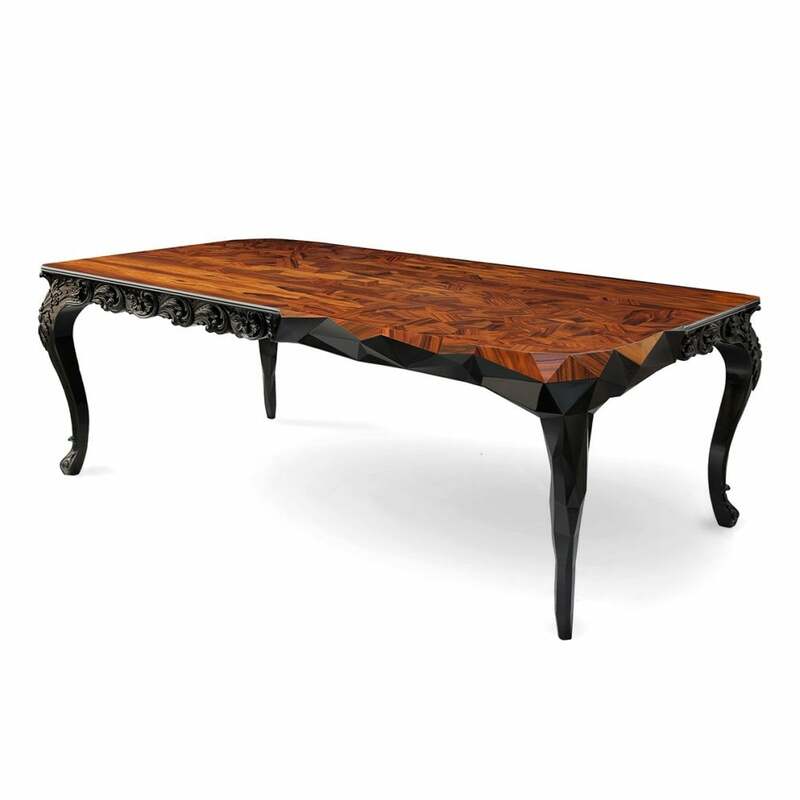 Made from wood with carved legs, in a baroque and minimalist faceted style. Royal’s top is composed through marquetry technique, with veneer palisander finished with a high gloss varnish. This extraordinary piece combines new design and architecture trends, but never forgetting the rich tradition of the past. The dual personality of this table is beautifully combined, Baroque meets clean lines, while reflecting Boca do Lobo’s philosophy of challenging the past thru the future. Palisander veneer, maquetry, black lacquered wood.